College Calorie Count | Giving students quick and easy ways to stay healthy in college. As we move through elementary school, middle school, high school, college and eventually into a job, many of us assume that we have experienced or witnessed the last of bullying somewhere in between the middle-high school years and maybe a little in college. This assumption would be wrong and this can negatively impact our mental health. 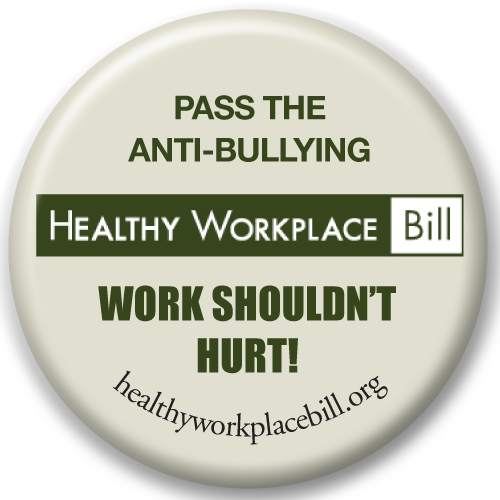 Bullying continues so far beyond middle school that men and women of all ages are experiencing bullying in the workplace environment. The below graph shows just how prevalent workplace bullying is, and the Healthy Workplace Campaign could put an end to it. The campaign for state-by-state anti-bullying laws in the workplace began in 2001, and the text for the Healthy Workplace Bill was drafted by Suffolk University Professor of Law David Yamada. After the introduction of the bill in California in 2003, the first of several HWB affiliated groups was formed. Groups began forming all over the United States and from then on this grassroots campaign has worked. State coordinators are the lifeblood of the campaign. They are voting residents of their state who convince their state representatives and senators about how important the Healthy Workplace Bill is. These volunteers argue for the bill to be enacted and they mobilize other people in their community to get involved and they contact elected officials with their stories and pleas to support the bill. Gary Namie, the national director of The Healthy Workplace Campaign, has successfully been able to spread this campaign across the United States. When the campaign gains new volunteers, or state coordinators, they are provided with extensive materials about being a coordinator, along with education and personalized lobbying materials. These coordinators then set out to gather volunteers and are free to revise any talking points they think would make them more persuasive in their argument about the bill with state officials. Instead of Namie flying across the country or driving hours away to different states for meetings with the press or to lobby the bill, the state coordinators that he educated do this for him. The message is what drives the campaign and its coordinators to push it forward. The results this campaign have produced speak for its effectiveness. The HWB has been introduced in 21 states and sponsored by over 300 legislators. The bill has successfully passed committee votes in four states and the senates in both the New York and Illinois legislatures passed the bill in 2010. There have been discussions about a federal law that began in 2010 with members of the U. S. House of Representatives and the U.S. Senate. There have been 21 states since 2003 that have introduced the HWB. In 2011, 21 states are active in the campaign with 18 current bills. It seems that that this campaign and its grassroots approach has been extremely successful on all accounts. They targeted an audience with their message and proceeded to have them spread it elsewhere for them. Doing this created more press and an ongoing campaign in almost every state. Do you think the Healthy Workplace Campaign will continue to be successful? 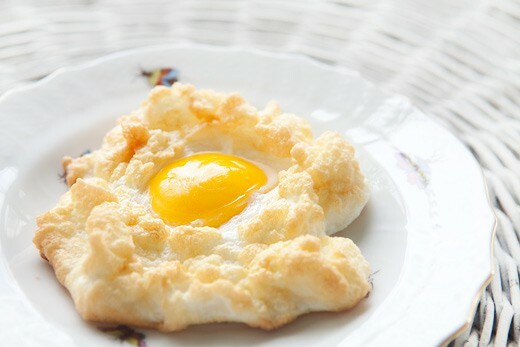 Did you know that the word “breakfast” literally means “to break fast?” Well it does! It’s called breakfast because it’s the first meal you eat after sleeping and therefore fasting all night. After “fasting” we need to nourish and prepare our hungry body and brain for the day. We’ve heard it over and over, breakfast is the most important meal of the day, but how many of us actually believe it? My guess, not many. Especially in college it’s hard to convince yourself getting up an hour or even 15 minutes earlier in the morning for breakfast is worth it. Well, it’s time to embrace this saying because it might just be the key to many of your weight woes in college. Whole grains: Things like whole-grain toast and bagels, whole-grain cereal and low-fat bran muffins. Low-fat protein: Things like peanut butter, poultry or fish and hard-boiled eggs. Low-fat dairy: These include skim milk, low-fat yogurt and cottage cheese. Fruits and vegetables: These include fresh or frozen fruits and vegetables, 100% juice beverages or fruit and veggie smoothies. Luckily, there are some quick on-the-go options for college students that include all the core elements listed above. I’ve listed some of my favorite healthy breakfast that will help you fight afternoon fatigue and keep you from crashing in the middle of that important economics lecture. – Toast with Nutella: If you haven’t tried this delicious chocolate hazelnut spread you won’t be disappointed. Put it on two slices of whole-grain toast and pair it with a side of fresh fruit and a glass of skim milk. – Bagel and Yogurt: Pair a whole-grain bagel with a fruit yogurt. I prefer Chobani Greek Yogurt. It’s a meal in itself and fills you up unlike most yogurts, but any yogurt will work. – Fruit Smoothie: Any fruit smoothie will do. One easy recipe is a handful of frozen berries, one banana and a 1/2 a cup of orange juice, another juice or water. – Oatmeal: I like using two packets of the Quaker oatmeal because it gives you a little more substance than just one. Pair this with a glass of skim milk and fruit. – PB&J Sandwich: A meal that is usually reserved for a snack or lunch is great for breakfast. Use whole-grain bread of course and you can even toast it for a more breakfast feel. I like adding bananas or honey to my PB&J for some extra nutrients. – Cereal: Choose a healthy cereal with granola and oats. Mix in some sliced fruit like strawberries or bananas and use skim milk. For college students it’s hard to fit a healthy breakfast in before class. Usually the reason we skip breakfast is because we’re short on time in the morning, in this case, plan ahead. The night before figure out what you’ll eat in the morning and jot it down in your planner. I know one of the first things I do in the morning is check my planner to make sure I did all the homework I have due that day, and having your breakfast planned out there will act as a reminder to eat. It might also be helpful to set out the dry ingredients and any bowls or pans you’ll need in the morning. If you know you aren’t going to have enough time in the morning to eat, pack a to-go breakfast the night before. Hopefully this post will get you to think twice about running out the door on an empty stomach. 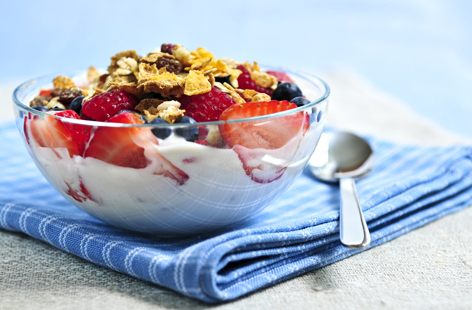 For more tips check out the Mayo Clinic’s article on eating a healthy breakfast. Do you have any of your own quick breakfast ideas? Drinking* is obviously one of many various activities that go on in college and the cause of that dreaded freshman (and sophomore and junior and senior) 15. Not only does the alcohol pack on the pounds, but those 3 a.m. pizzas after a night out add a few on as well. 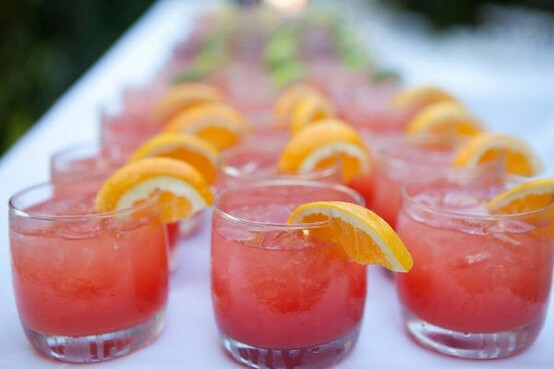 In this post you’ll find a few of my favorite low calorie cocktails and some tips on how to have a healthy happy hour, or whatever hour you choose to indulge. The Creamsicle – 2 shots of Pinnacle Whipped Vodka over ice, fill the cup about 2/3 with seltzer and a splash of orange juice. This is why you should try it. It’s so simple to make and if you have never tried Pinnacle Vodka I suggest you do. It’s super yummy and the majority of the Pinnacle flavors can be mixed with just about anything so they’re easy to work with. I usually don’t like making mixed drinks with pop because of all the extra calories and sugar, but this gives you the bubbles without any added calories. Low-Cal John Daly – 2 shots of sweet tea vodka (I recommend Firefly) over ice, fill the rest of the cup with equal parts Crystal Light Lemonade and ice tea. This is why you should try it. This one is also really easy to make. Using Crystal Light shaves off a lot of the sugar and calories you would get with a pre-made lemonade and they also make an ice tea as well if you wanna make this super low calorie. My friend likes to drink this, but she uses a pre-made Arnold Palmer to mix with the vodka. This is fine and makes this recipe even simpler, but keep in mind the extra sugar pre-made ingredients have. I can name a thousand excuses I have stocked up for not going to the gym, and the one I always end up telling myself is that I’m just too busy. Then I proceed to lay around for a couple of hours before getting to all the things I just had to do that were keeping me away from the gym. It’s time to put that excuse to rest, because that’s all it is, an excuse. After learning about these new workouts there is no way I can justify being “too busy” for a workout any more. The 2 workouts I’ve listed below take under 15 minutes and are the 2 that give you the most bang for your buck. They are both exercises you don’t even have to go to the gym for and you can do in your dorm or at home in between classes. They require no extra equipment, just some space and a little motivation. Giving blood. The thought of it makes most people cringe, but it’s a regular part of college life, whether you decide to give it or not. Blood drives are constantly going on around campus and you can usually find one at least once every couple of months, if not every month. For me, being healthy not only includes taking care of your body, but taking care of your soul as well. One way to keep your soul healthy is by doing good deeds for other people, and the additional good karma doesn’t hurt either. The only thing that is always with me, no matter what I’m doing or where I am, is my cell phone. The majority of college students would say the same. Whether you have an iPhone like I do, a Blackberry, Droid or any other smartphone, there are hundreds, if not thousands, of applications you can download to make your life easier. The problem is there are so many choices, it’s hard to decide which one is worth the download. Below I’ve listed the top five health and fitness apps I’ve used, and some my friends even swear by, that are well worth the download. Oh and the best part is, they’re free! 1. MyFitnessPal: This app is awesome if you want to drop some serious weight before bikini season comes around or if you just want to make sure you’re staying in shape and not falling into a fast food rut. You can set a daily calorie goal and then log your meals, snacks and exercise throughout the day. This app is better than other calorie counters because it has a database of over one million foods, so whatever your eating is almost guaranteed to be listed and counted. When you download MyFitnessPal on your phone you can sync everything to the MyFitnessPal website and log things from any computer, and if you already have an account online, download the app on your phone and make your life a little easier. MyFitnessPal is a personal trainer that you can keep in your pocket. 2. Fooducate: This is the app you need when you’re grocery shopping. It’s easy and super simple to use. You can scan a product barcode and then it brings up a grade (A+ through F-) for that product. It gives the reason behind every grade and then offers better alternatives, along with the grade for those products. I use this app all the time when I’m grocery shopping, especially for those products that claim to be “healthy” or “lean.” I’ve been unpleasantly surprised on more than one occasion about just how unhealthy some of these products actually are. What I like the most about this app is that they give you easy-to-understand evaluations of the product that are short and to the point, not long explanations about why the product is good or bad. In no time, Fooducate will have your pantry filled with A+ products.